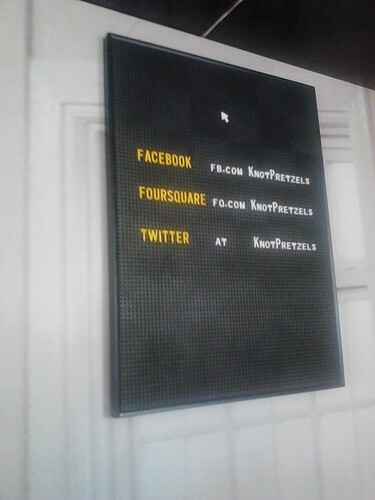 New social media board up! Ok, so in addition to our social media reshuffle (most notably the blog’s new appearance on the homepage!) We’ve got a snazzy new board up in Clapham Junction to remind you to check out all our sites and have a chat while you’re waiting on your coffee order. : ) There are deals on foursquare, photos on facebook, and an awful lot of chatter on twitter, so jump in! We’re working on getting to our 400th like and follower on twitter and facebook, so if you haven’t already, go head over and join in. We’ll work up a small prize for our 400th!